SEATTLE – From the northwest corner of the United States, Julie Muller-Neff, executive director of the Western Washington chapter of Sheet Metal and Air Conditioning Contractors’ National Association’s (SMACNA) and 2017 SMACNA Chapter Executive of the Year, is doing her part to change her industry. Muller-Neff worked closely with Sheet Metal Air, Rail and Transportation Workers (SMART) Local 66 and its Western Washington Sheet Metal training center to bring the first SMART Heroes program in the country to the Seattle area. The veteran training program provides new and soon-to-be veterans with a seven-week, concentrated training, allowing them, upon graduation, to enter sheet metal training centers across the country as a second-year apprentice. SMART Heroes was established by SMART and SMACNA, in collaboration with SMART Local 66, SMACNA Western Washington, Western Washington Sheet Metal training center and Helmets to Hardhats. As a daughter to a construction worker, Muller-Neff was in awe of her father’s trade. Once she graduated college, she went on to earn her law degree. She then went to work in construction law, helping subcontractors and contractors retrieve payment for completed projects. Through that work, Muller-Neff became aware of Orange County/Inland Empire SMACNA (now part of Southern California SMACNA) and was hired as its executive director. Three years ago, she and her young family moved to Washington so Muller-Neff could accept her current position. Muller-Neff also consistently thinks about how to make–what is now– her industry better. Together with Angela Simon, 2016 SMACNA Contractor of the Year and SMACNA national vice president, they have formed the Women in Construction Leadership Council, a national SMACNA committee, and will hold its first summit this summer. The committee will get the best minds together to seek opportunities that help women grow in the industry. “The initial mission of the committee is to focus on the women who aspire to take on leadership positions in member companies, chapters and/or are interested in becoming involved in SMACNA both locally and nationally,” Muller-Neff said. “That can definitely evolve as the group gains momentum. 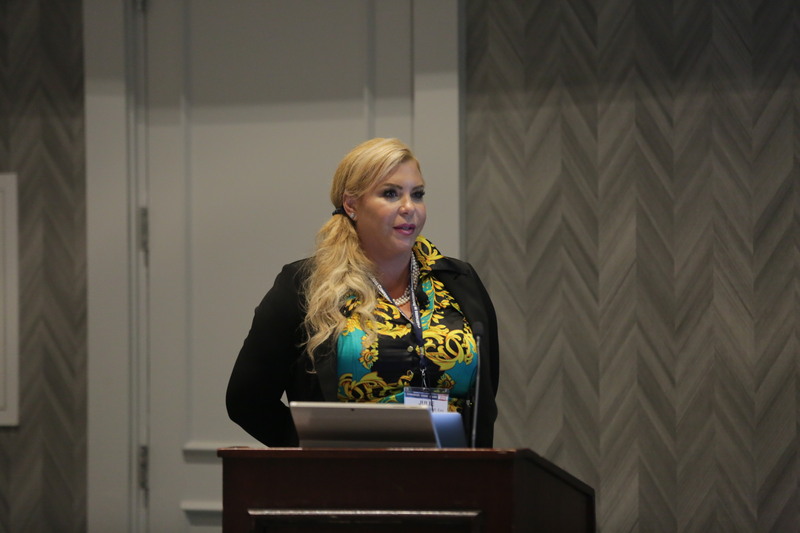 All of her advocacy and work on behalf of sheet metal members can be traced back to her father’s career and what the industry gave to her family.